This report studies the kitchen equipment market in India, especially the commercial kitchen equipment market. India with such a large population is a big market. This market consists of numerous businesses. In the food sector, there are various companies operating with same business objectives. That is the reason there is a huge demand for kitchen equipments. This report will study in detail the scope and opportunity of a particular company that is Suba Kitchen appliances in this scenario. This report will analyze the supply chain of the company in India, its scope of development, marketing opportunity etc. In order to understand the extent to which the Suba Kitchen Solutionz can spread in the market it is important to understand the products that are sold by the company. The company produces machines to meet all the requirements of running a restaurant. It is especially gained popularity in the southern India for producing baking equipment. The baking equipment has long been the primary items for the Suba Kitchen Solutionz. Some of the examples of its products for bakery are cookie drop machine, automatic dough divider, combi ovens, bag closers, planetary mixer, spiral mixer with fixed bowl, planetary mixer, gear drive planetary mixer, belt drive planetary mixer, manual divider rounder, cookie dropping machines, spiral mixer, portable compressor for cake decoration, toaster, dishwasher, bread divider, griller, hydraulic divider, deck oven, rack oven, convection oven, fryer, donut fryer, vegetable preparation machine. The company provide complete kitchen and food factory solution from mixing, baking, and packing to washing. The company manufactures supplies and even exports these products to other countries. The project context is to study in detail the situation on which this project is to be undertaken. There are internal and external factors that are responsible for understanding the project context in detail. The internal factors can be analyzed through a SWOT analysis. The PESTLE can judge the external factors. First of all the strength, weakness, opportunity, and threat of Suba kitchen appliances have to be studied to understand the internal aspects of the company. Strengths: Strengths of Suba kitchen’s primary strength is the good quality of product that it produces. The company ensures high quality products in order to gain competitive advantages. The success of the company in the southern states of India can also be considered as the strength of the company (Wan-Ju & Maw-Liann, 2016). The positioning of the company can also be considered as one of the most vital positive sides of the company. This company customizes its products according to the need of the clients. One more strength of this company is though there is competition in the kitchen appliance market in general but the kitchen appliance that targets commercial kitchen are less in number (Zhang, 2014). Weakness: Weakness of Suba Kitchen Appliances is that it is only established in 3 out of the 29 states in India. It still lacks enough spread throughout the country. It has not been able to extend its business outside the southern part of India in last 30 years. Threat: Threat is also there for Suba Kitchen Appliance. The primary threat is the fact that there are various legal issues that are there in conducting the business in most of the states. There is also the existence of competition in the market because of the presence of small big businesses in the form of organized and unorganized sectors (Ehringer, 2016). The lack of awareness about various kitchen appliances is also a matter of concern for the company. The cost of raw material of the kitchen appliance sector has increased rapidly in the last few years (LIANG, HE & YE, 2017). The competition for Suba kitchen appliance in Indian market is LG, Amna, Ekco, kutchina. In order to understand the external issues a PESTLE analysis is to be done by the company. The pestle analysis studies in detail the political, economic, social, technological, legal and environmental factors (Betts, 2016). Through this analysis, it can be studied that whether these factors will work in favor or against the company. This gives a wholesome perspective of the entire external scenario. Economic: Most of the states in India have separate economic standards. For example, the value added tax is 14.5 percent in some of the states. In other states, the rate is lesser. In states like Kashmir which has the difficult political condition, the tax rate is nearly very low (Wellton et al., 2016). Technological: Technological factors play a vital role in developing of machines to facilitate the work of the kitchen. The various technological discoveries of other companies can play a significant threat to this company (Hagbert & Femenías, 2016). Again another aspect of technology in this context is the fact that the market of India is not easily impacted by any technological advancement as there is a strong reluctance among Indians to adapt to technologies. This is primarily due to the low level of education among the business section. Legal: legal aspects won’t be of a primary problem for this business because this company has been conducting business in India for more than 30 years and thus its legal aspects are quite clear. However, the legal aspects also change state to state but it cannot be considered as a huge issue for Suba. Environmental: The environmental issues work in favor of the company because the company is producing machines that are environment-friendly in nature. The environment-friendly equipment is a specialty of this company. The growing stress on environment-friendly equipment by various government organization works positively for the company. 2.Establishing offices is not enough. For a business like that of Suba it is important to have proper warehouses. That is why the company has to make sure to arrange cheap warehouses in each of the states (Wellton et al., 2016). 3.The company has to find proper means of transport. As mentioned before this company holds dealership of various foreign companies. That is why it is important to find the right means of transport. There have to be proper channels of transport through the ship. The company has to find cheap means of transport and locate the ports that are closest to the state. 5.Another external problem that is faced by the company is the difference between the tax rates in each state of India which has been mentioned before during the external analysis. 6.Various rules and regulations of government in each state is also a matter that can impact the business of Suba. In each state, the rules to gain franchisee etc. vary according to the government (Filippetti & D’Ippolito, 2016). 7.In India, each state has entirely different language. That is why it is difficult for companies to relocate in each state of India. to establish new stores in each state a certain amount of man force is required. For Suba skilled man force is highly in demand. Suba needs to recruit engineers in each state to run its functions properly. It is difficult for an engineer of one state faces various difficulties in working in other states because of language. There are various opportunities for the company because of its long time presence in the Indian market. Other than that the company caters to a sector that has huge opportunity of growth in India. The food market in India is growing at a rapid rate. It has a growth rate that indicates that there is going to be profit in this sector in years to come. The Suba Company is right operating chiefly from Coimbatore. It has a total of 3 offices all across India. The company is long in business in the southern region and is looking for expansion (O’Neil, 2017). There are opportunities for the company to extend its business in other parts of India, as there is high demand in the food market. But there are various constraints to this venture due to internal and external factors of the company. Currently, the company has products like bakery kitchen equipment, planetary mixers, spiral mixer, divider, rounder, molder, sheeter, proofer, deck oven etc. Its office is situated in Tamil Nadu. There are two more offices in India other than the office in Tamil Nadu. In southern India, the company has done business properly. The company wants to extend from the parts that they are established in other states of India. Before making such step, it is important for the company to do a cost-benefit analysis to check whether it is profitable for the company to take the step. The company should take into concern aspects like political stability, risks, demand in the market and methods of transport into consideration before taking a business decision. In order to stock the products in India, the company will open a warehouse in the city area. In order to deliver the products in Indian market, the company will use cargo freight. States in India like Mumbai, Bangalore Pune respectively has the highest number of restaurants. The chief customer of Suba kitchen solutions is the restaurants and mass eateries. The number of such is highest in the above-mentioned states. The ports of Mumbai are also one of the most bustling and cheap ports in entire India. Pune, Bombay, and Bangalore all can be covered from the ports in Mumbai and Chennai. The roads that are connecting these cities are also very good (Zhang, 2014). These cities are the metropolitan cities of the country hence the connection to these places are very good. The demand for the equipment is also present in these areas. Geographically speaking the existent offices of the company is also close to these metros. The negative points in coming to these places are the existence of the huge amount of competition. Huge companies like Godrej, kutchina have a strong presence in these metros (Sundaram & Rukmangadhan, 2016). Another aspect that is strongly negative in coming to these places is the lack of availability of cheap warehousing. Due to the huge amount of demand in these places, there are various companies that are competing to capture the market. These companies have captured most of the warehouses. The storage is going to be a huge problem in areas like these. In the northern part of India, the states that can be very effective in establishing this business are the various tourists’ spots. In the northern part of India states like Kashmir, Himachal Pradesh attracts a huge amount of crowd for both a tourist attraction and religious purposes. These states have a large number of eateries. Suba can extend their services to these places which will be feasible for the company due to the high amount of demand. The chief problems in these regions are the lack of proper communication. It is difficult to communicate with these places as there is very scarce transport available. Most of these places are situated in high altitudes and hence only land transport is available to reach these places. It is also very expensive to for the companies to travel to these places which will significantly increase the cost of the products. Warehouses would not be a concern in these places due to its remoteness. There are no nearby ports to these places. The nearest ports are also very far from these states. The language in these places is also entirely different from that in the southern part of India. The tourist spots and places of religious significance in the southern part of India are another lucrative market for this company. 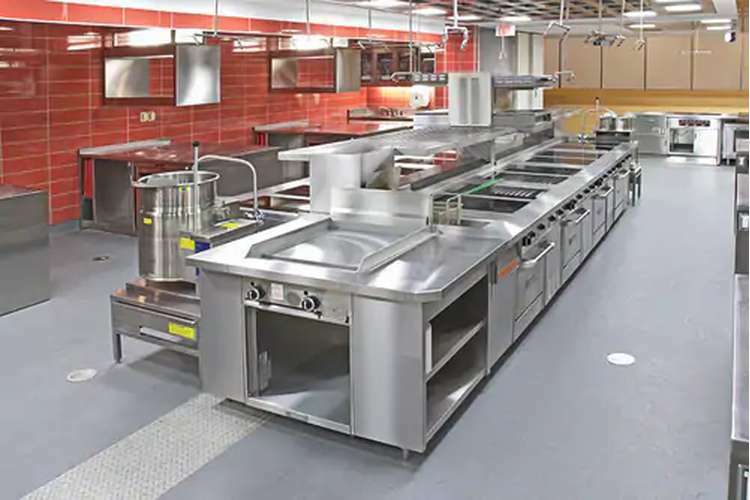 States like Kerala or Goa attracts a huge amount of crowd and hence there is demand for kitchens among the commercial kitchen to meet that demand. Other states like Hyderabad and Telangana have various spots of religious significance and hence have a huge amount of wet mass kitchens. This company can tap into these markets. Their location of these places plays to the advantage of the company as the current warehouses of the company is not much far (Chan, Wong & Yang, 2016). That is why the company can only use smaller warehouses and by road transport to cater to these places with its products. Segmenting: The Company provides solution for large kitchens and factories of both bakeries and wet food providing kitchens. This is the segment where this company works. Targeting: The Company only targets the big restaurants and eateries. It also targets various bakeries and food factories. This company is now focusing on the wet kitchens of the various parts of India. Various religious places that serve food to a massive number of people are also the target of this company. The religious eateries are a huge market in India. And these places are also increasing at a rate because of establishing of various branches of temples in different parts of India. Positioning: The Company has an image of a niche company in the southern part of the India where it is situated right now. The Suba kitchen solution wants to maintain its image while it extends in other parts of India. The research methodology used in this particular study is from secondary sources. Through this report, the demand existing in various states are studied in detail. Other than that there are other factors are also studied like the expense to rent warehouses, availability of manpower, the cost of labor in deciding whether that state can be considered as an ideal place for the business to start its office. The cost of transport is also of utmost importance which is judged to decide the feasibility of the state. A small survey has also been conducted in Coimbatore among the existing customers of the company to find out the rate of satisfaction and the image of the company in the mind of its customers (Razali, Hasim & Daud, 2016). The small survey has been conducted in the northern tourist spots. The survey was conducted on the owners of the existing restaurants in that area. This survey is done to find out the problems that are faced by the owners of businesses in that region. This survey was aimed at understanding the existent demand of kitchen equipment in that area. Each prospect has been judged on the above criteria. The feasibility of each of the state is established and suggestions are given accordingly. A detailed cost-benefit analysis is to be done to find out which of the above-mentioned markets are most suitable. The chief limitation of this research is that there has been less on-field research conducted to find out the actual picture of the market. Research has been conducted from the secondary source of information. Due to lack of available information on this particular subject, some assumption has been drawn in this report by taking into consideration another similar type of businesses and their rate of success. The actual impact on each business is extremely subjective and depends on numerous factors. 4.The cities with demand in the market and good communication facilities have a high cost in renting warehouses and the states with lesser communication facilities have a low rate of warehousing. The demand can be comparable in both places. 6.One of the chief strengths of the company is the environment-friendly equipment that it produces. In Indian market, the increasing rate of middleclass population is the major factor, which increases the demand of kitchen equipments. Apart from that, consumers’ lifestyle is improving day-by-day, which is another reason of increasing demand in kitchen equipment market. Nowadays, people tend to use innovative kitchen equipments in order to save time and improve work efficiency (Seedhouse, 2017). Therefore, it can be said that Suba kitchen solutionz will be able to expand their business in this market successfully. It is important for any project to be completed in a certain time frame. This project is to find out the possibilities of expansion of this company. The company is pursuing the project in the year 2017. This project has to be completed within this year. And the needful steps are to be taken. This project has been undertaken in the month of February of the year 2017. By the end of June, the company wants to complete the entire procedure of the research and cost-benefit analysis. It wants to start acting upon the plan from the month of June 2017. Time has been allotted to each activity by the company. In the month of February, the topic has to be defined, from that month only till the mid of March the company will clearly picture the business model canvas. Various qualitative surveys will be conducted and a literature has to be developed on the course of action by the month of April. From April until May the various business models have to be applied and verified according to the business plan. From may, all the recommendations have to be collected and the draft has to be prepared. The draft has to be checked and rechecked to form the final draft. In June the entire project will be ready and after careful considerations and possible methods suggested by the projects, steps will be taken to extend the business. The above business canvas model has been developed in order to elaborate how Suba Kitchen Solutionz conducts sustainable business in competitive market. The business model canvas includes key partnership, key activities, value proposition, customer relationship, customer segmentation, key resources, channels, cost structure and revenue stream. The entire model shows that how Suba Kitchen Solutionz conducts the overall organizational process in order to increase product value among the customers. On the other hand, it also emphasis on how the company generates revenue from its business model. In contemporary business environment, it is highly important to maintain certain factors in order to gain competitive advantage. Here in this model, it shows that the company has targeted consumers from Indian market. The company will operate with the bakery chains in order to increase sales of the innovative kitchen equipments. When it comes to the key activities for achieving the business objectives, the company is conducting efficient marketing through online platforms. Apart from that, the company is also conducting marketing activities by building relationship with the consumers directly. When it comes to the key resources, the company ensure high employee satisfaction and good supply chain management system. The chief clients of the brand can be the leading bakery chain; there are various bakeries in India that run through franchising these bakeries have large centres for baking at certain places from where they supply their product to various places. These bakeries have adapted to the Indian palate and started producing more wet food items as a result an increasing demand for machineries for that regard has become a demand in the market. They serve more than 100 clients all over the world. The company will implement demographic segmentation in order to target the consumers. Here, the company will implement niche segmentation strategy, through which it will be possible to gain supremacy in target market. The right state to start such activities is dependent on various factors as mentioned before. The considerations are the cost of warehousing, taxes, linguistics etc. the most feasible state according to this is the developed states in the southern part of India. One such model state to start this business can be Bangalore as it is a highly developed state and has many businesses another good option can be Kerala as it has a huge amount of tourist influx and thus community kitchens are huge in number. There are various websites that provide information regarding buying or renting commercial plots in India. These sites can be used to find information regarding cheap warehouses in intended state which can be market for the goods that the company is intending to sell. The warehousing space requirement is growing in India and most of the businesses are responding to it. Warehouses can be bought, rent or leased. In case of renting the initial investment is less and yet it is a recurring investment. Most of the southern coastal states have good ports that can be used to deliver goods from any part of the world. And as there is a established warehouse and port in the existing office of the company the rest of the transport can be done through inland transport. Transportation is of vital importance when considering business expansion as transportation consumes high amount of cost. The choosing of location in southern parts is a good decision as the cost of transportation can be reduced as it is close to its head office in the southern part of the state. Taxation is different in different states in India. There are 19 types of taxes in India that are under the state head these taxes can be designed by the state government only. These taxes vary from state to state in India and a business has to make sure that states with unnecessary high tax rate should not be chose to extend the business in which will result in more expenses for the business. There are various government regulations in the states of India that are different from each other. Some of the factors that are impacted by the state only are the tax regulation, labour flexibility regulation, price control regulation. This varies from state to state in India. In India there are 29 states and 7 union territories each of the states has a number from 1 to 5 languages that are used in the state. Some of the languages of the neighbouring states are related to each other in speech and script but from north to south these languages becomes more and more foreign. That is why it is difficult to operate business in India. In conclusion, it can be said that there are indeed various opportunities for this company to diversify its products and also explore the various markets in India. This company has already been present in the online market through tradesindia.com and thus sending its products to various parts of India. The Indian terrains are not new for this company but to start warehouse and make an office various other constraints has to be carefully studied before starting the office. If proper steps are taken by the company and the right market is captured it will be a profitable venture for the company to find a new market. Belasco, W. J. (2014). Appetite for change: How the counterculture took on the food industry. Cornell University Press. Gould, G. W. (2012). New methods of food preservation. Springer Science & Business Media. Anner, J. (2013). Emerging economies drive frugal innovation. Bull World Health Organ, 91, 6-7. Chan, A. P., Wong, F. K., & Yang, Y. (2016). From innovation to application of personal cooling vest. Smart and Sustainable Built Environment, 5(2), 111-124. Rinaldi, A., Tosi, F., & Ricci, D. B. (2016). From “Liquid Kitchen” to “Shared Kitchen”: Human-Centred Design for Innovative Services of Social Inclusion in Food Consumption. In Advances in Design for Inclusion (pp. 13-25). Springer International Publishing. Ryu, K., Han, H., & Jang, S. (2010). Relationships among hedonic and utilitarian values, satisfaction and behavioral intentions in the fast-casual restaurant industry. International Journal of Contemporary Hospitality Management, 22(3), 416-432. Simone, A., Olesen, B. W., Stoops, J. L., & Watkins, A. W. (2013). 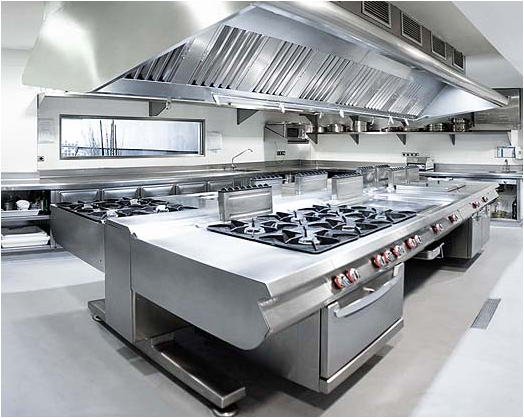 Thermal comfort in commercial kitchens (RP-1469): Procedure and physical measurements (Part 1). Hvac&r Research, 19(8), 1001-1015. Singh, S., & Singla, N. (2011). Fresh Food Retail Chains in India: Organisation and Impacts (CMA Publication No. 238) (Vol. 1). Allied Publishers. Sundaram, R., & Rukmangadhan, S. (2016, December). Optimizing Kitchen Experience. In Proceedings of the 8th Indian Conference on Human Computer Interaction (pp. 147-156). ACM. Thurber, M. C., Phadke, H., Nagavarapu, S., Shrimali, G., & Zerriffi, H. (2014). ‘Oorja’in India: Assessing a large-scale commercial distribution of advanced biomass stoves to households. Energy for sustainable development, 19, 138-150.